Brilliant Bindings tool is used as a template for pieces in this quilt. (tool sold separately). Great quilt to showcase your favorite sport, colors, or fabrics. 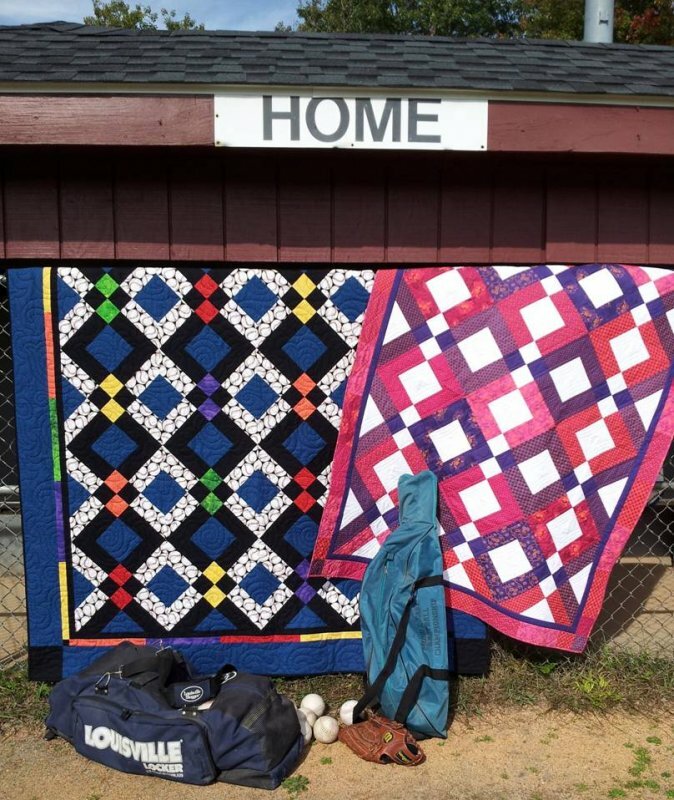 Baseball quilt is 70" x 85" and Girly Girl is 50" x 63". Also includes table runner options.